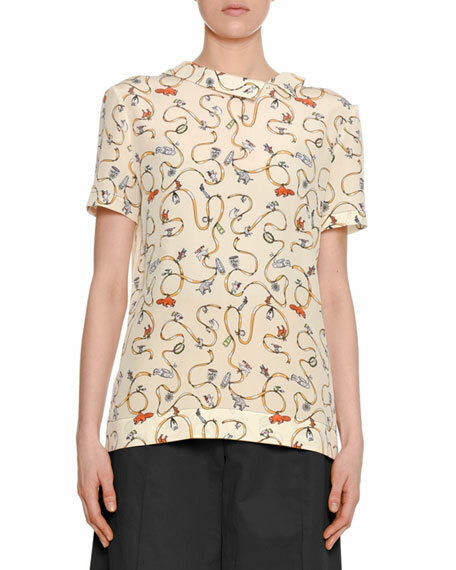 Marni silk woven blouse with small ribbon and charms print. 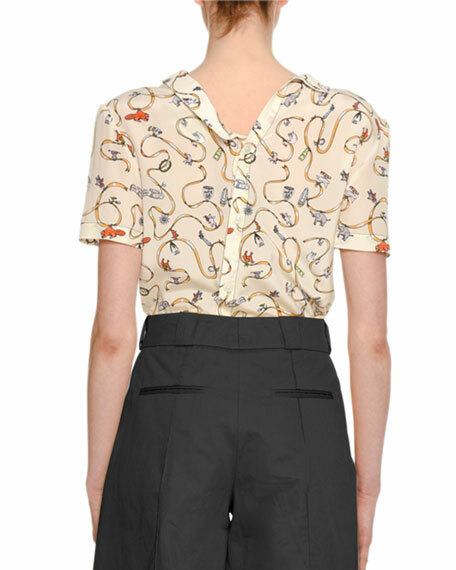 Asymmetric collar and button-down back. For in-store inquiries, use sku #2600273.